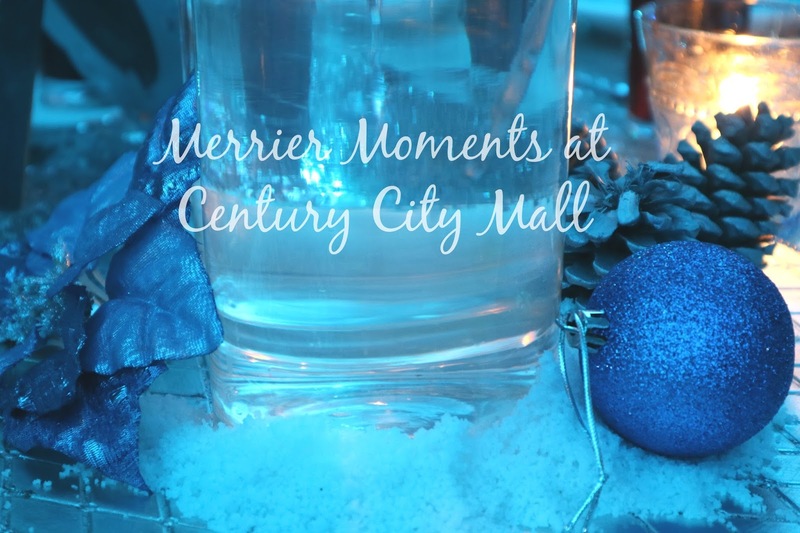 Merrier Moments at Century City Mall! December is here and it's just 12 days before Christmas! :) I'm beginning to feel the holiday rush and I absolutely love malls that prepare for this season to the fullest! Just like Century City Mall! Century City Mall has a lot of activities lined up for us all! :) Just a few weeks ago, I was able to witness their tree lighting launch and it was super beautiful! :) A blue and white Christmas! ♥ Silver Bells Christmas Bazaar Looking for that perfect gift this holiday season? Silver Bells Christmas Bazaar is the place to go this December 17 to 18! We have a variety of offerings for gift-giving that both the young and old markets would appreciate. ♥ Holiday Property Fair Families saving up for the home of their dreams will enjoy great deals at the holiday Property Fair 2016 of Century Properties on December 17 at the 5th Level Events Center. Free lifestyle talks on interior styling, real estate investment and health and wellness will be given, as well as special raffle prizes from Siglo Suites and Centuria Medical Makati. ♥ Santa Baby This season is the best time for the family to head to the mall as Santa Claus will be in town once again to bring holiday cheer to kids and adults alike. Catch him every weekend until Dec. 25th! Watch out for these at Century City Mall! :) Enjoy this holiday season with your loved ones!